Imam Ali un-Naqi (A.S.) known as Hazrat Hadi was born in the mid of ZilHajj, 212 Hijrah in the vicinity of Madina, at a place known as Surya. His father is Imam Jawad (A.S.) his mother Samana was a maid with excellence, virtue and piety. Imam (A.S.) got the post of Imamate after the martyrdom of his father in the year 220 Hijrah. Although he was not more than 8 years of age, yet he was the focus of the attention of Shias and the Abbasade caliphs were extremely scared and afraid of him. They set their hand to his exile and torture. Such as "Mutawakkil" brought Imam (A.S.) from Madina to Samarra and he stayed then till the end of his life. 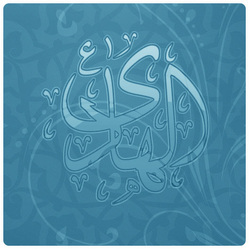 Imam (A.S.) was unique in asceticism, devotion and prayers. So that, when the agents and officials of Mutawakkil attacked his house, they saw him busy praying in a simple room. He had a great attachment and affiliation with the holy Quran. Whenever he was free from the works of the people he would recite Quran. He conducted people with smiling and bloomed face and when he walked he took slow steps. He attended and helped the afflicted ones. Sometimes, he would grant up to thirty thousand dinnars to the have nots, needy and problem stricken people. So that when "Mutawakkil" sent thirty thousand dinnars for him he gave all of it to a needy and poor Arab. The mother of "Mutawakkil" had become enamored and fascinated by the devotion and asceticism and faith of Imam Hadi (A.S.). On the day when Mutawakkil fell ill, his foot was injured and the physicians got unable and helpless regarding his treatment. His mother sent "Fatah bin Khaqan" to Imam's (A.S.) house to request him for a medicine. Imam (A.S.) recommended a medicine to him by which Mutawakkil was treated and cured and all the physicians were astonished at it. His mother send a thousand dinnars as a gratitude in connection with his being cure. He distributed all of that money among the afflicted ones. Once "Younas Naqqash" came terrified and trembling to see Imam (A.S.) and said, "Oh the son of the Prophet (P.B.U.H.) I am at the verge and threshold of death, you help my family." Imam (A.S.) asked him as to what was the matter. He said so, "one of the courtiers of Abbasade caliphate has given me a gem to engrave a design upon it. During the work, the gem broke into two pieces. Tomorrow, he will send someone to collect the gem. If he comes to know about the matter he will kill me." Imam (A.S.) bent his head downward then he raised it saying, "I prayed for you, be satisfied no harm will reach you from him, instead, this work will end to your benefit. Get up and go you will face no trouble tomorrow." The next day Younas moved towards the house of that man with trembling legs along with one of the officials deputed. Not very long afterwards, the owner of the house arrived and said, "Oh younas it was settled that you engrave a design over that gem but two of my daughters have a conflict upon this gem." If it is possible, break the gem into two pieces, and engrave the design on each of the two parts of it. I will give you a reward too, for that, Younas said, "Permit me to think about this matter." He came out of that place and returned happily to Imam (A.S.) and expressed his gratitude and thankfulness over the kindness he had shown to him. The continuation of combat and opposition of Imams (A.S.) to the tyrants and the brutal rulers is one of the pride and passions of the history of Islam and Shiite school. They, by their un-comprising attitude toward tyranny and siding with the poor and desperate flared up the anger of the tyrants and cruel to the extent that they deprived them off their sleep and comfort. Although Imam's (A.S.) period of life was coincident with seven of the Abbasade Caliphs, yet the hardest and toughest period of his life as that of the caliphate of "Mutawakkil" because he was a fame fan, wicked and faithless person. If he posed to be religious that was only in view of promoting his political causes. In the year 226 Hijrah, Mutawakkil ordered that the grave of Imam Hussain (A.S.) be washed away by diverting (river) water and the place be ploughed for agriculture so that people may be deprived of the visiting the martyrs of Karbala. Mutawakkil knew pretty well that each of these graves was a strong fortress against him, which continuously attracts the self-sacrificing and devoted soldiers, and heart burnt lovers from all over the world towards itself. So far so, that Mohammad Ibn-e-Idrees, one of the scholars sided by Mutawakkil. He instigated people to ask the solution to their (religious) problems from Mutawakkil so that they may gradually take distance from the family of Ali (A.S.). Following the terrible crime of martyring the Imam (A.S.) Mutawakkil never had peace of mind and remained continuously sad and gloomy till the Turks killed him. One day one of the flatterer and glib tongued person said to 'Mutawakkil', "Why do you command your court offices to honor Imam, and when he arrives they must raise the curtains and open the doors for him. This itself is against your conduct. Let Imam (A.S.) come and go like the rest of the people so that he looses his worth in the eyes of people." Mutawakkil agreed to his demand and ordered his officials not to hold the curtains and open the doors while Imam (A.S.) comes or leaves. One day, one of his servants came rushing to him and said: "Imam (A.S.) is coming and to whichever part of the court he arrives, the doors open and curtains are drawn automatically. This thing attracted the attention of all and if this continues on the superiority and supremacy of Imam (A.S.) will become clear and evident to all, thus your government will be endangered. Mutawakkil at once ordered that the officials must adopt the previous conduct with Imam (A.S.) and honor him more than ever. One day Mutawakkil asked Ibn-e-Sikkit the tutor of his sons, "Do you love my sons more than you love the sons of the Prophet (P.B.U.H.)." He at once answered with valor and bravely, "I love Qambar the slave of Ali (A.S.) more than I love your sons." Mutawakkil was enraged and furious like an injured wolf and ordered that the tongue of this man be extracted and pulled out of the back of his head (neck) and so that great man died at the age of 58 years. Mutawakkil got famous and well known for his extravagant and lavish expenditure and misusing people's wealth so that he spent one million and seven hundred golden dinnars for building a strong fortress which is present to this date in Samarra. With all these extravagancies and plundering people's wealth he was so very strict in his behavior with the sons of the Prophet (P.B.U.H.). So that the daughters of the Prophet (P.B.U.H.) led their lives by yarn spinning in Madina and did not even have a pair of new dress to wear. Mutawakkil had a bad and ill conduct with the sons of the Prophet (P.B.U.H.). He got friendly with the enemies of Ali (A.S.) and gave them money to make fun of Ali (A.S.) and his family such as he was always accompanied by a stooge who cut jokes and made fun of Ali (A.S.) and made him laugh. He would laugh loudly and lunatic ally. The rigid, tough and harmful attitude of Mutawakkil regarding sons of Ali (A.S.) went to the extent that he wrote to the governor of Madina, "whosoever wishes to help the family of Ali (A.S.) or visits them, punish him severely." Mutawakkil banished the Imam (A.S.) through one of his officials from Madina to Samarra in the year 243 Hijrah. He accommodated him along with his son Imam Hassan Askari (A.S.) in a military camp near his palace. And kept him under observation till the end of (Imam) life. This is the very reason why Imam (A.S.) got known by the title of Askari, became Askar means army or military. Since the knowledge of Imam Hadi (A.S.) originated from the Prophetic school thus the light of knowledge shone over his heart and made him aware of the secret of creation. 1. One day, the emperor of Rome wrote to one of the caliphs of Bani Abbas, "We have read in Bible that there is one Surah (Chapter) of the heavenly Surahs, which if read by anyone and practiced upon it's content God will not send that person to the Hell. You write me as to which one is that Surah? Because we did not find it in Bible." The Abbasade Caliph gathered all the wise men and asked them the question and all of them failed to answer it. The Caliph summoned Imam Hadi (A.S.) and put to him that question Imam (A.S.) opened his lips for the reply and said, "That surah is Surah "Hamd" which every Muslim recites a number of times in his prayers at day and night time." Then Imam (A.S.) gave some explanations about it, which surprised and astonished all the wise men. The answer of Imam (A.S.) was sent to the emperor of Rome who, having read it, was much pleased and embraced Islam. Question No.1. When "Sulayman (A.S.)" demanded the throne of queen "Bilqees" of "Sheba" his minister "Asif Barkhia" said, "I can bring the throne for you in the time of winking of an eye" why did Sulayman (Solomon) (A.S.) himself not do that? Did he himself not have the knowledge? Answer: Whatever Asif did was through Sulayman (A.S.) and he had received his wisdom and knowledge from him since, Sulayman was a Prophet he had the capacity and power to perform all these works. But because of it, that he wanted to introduce his successor to the people and make them aware of his station he assigned him this work. Question No.2. On the basis of Quranic version when Yaqoob (Jacob) (A.S.) went to Kanaan along with his sons to see Yousuf (A.S.) all fell down into prostration before Yousuf (Joseph) (A.S.). Why did a Prophet like Yaqoob (A.S.) performed prostration for Yousuf (A.S.). Whereas, prostration is specified only for God? Answer: This prostration was not for Vousuf (A.S.) but as a thanks giving to God, just like the prostration of the angels for Adam (A.S.) even though, they did not perform it for Adam (A.S.), but prostration to God as a gratitude and thankfulness, regarding this creation, to Him. Question No.3. Based upon the Quran's narration, if the edibles and beverages of Paradise are for the sake of pleasure then, why was Adam (A.S.) forbidden to eat the grapes and was expelled from Paradise? Answer. As God wanted to try and test Adam (A.S.), He commanded him not to obey his wife Hawwa (Eve) (A.S.) and not to eat from that tree. But he opposed it and as a result he was ousted from the haven. Question No.4. Why did Ali (A.S.) order his men in the battle of Jamal (Camel) to chase and bring into effect the pursuit of only "the warriors" and not to kill those who ran away, or were not armed, or injured? But in the Siffeen battle he ordered to kill them all, whether armed or unarmed, injured or uninjured, whomsoever they found and laid hands upon. Why was this difference in the order? Answer: Since, the battle of Jamal was a battle of Islam verses Islam and a battle between a deceived Muslim against another Muslim but the battle of Siffeen was a battle of infidels against Islam. It was a combat between Muslim appearing infidels and the real Islam. When Adam (A.S.) went to perform Hajj and visit the house of God, who shaved his head off? All of them were unable to give an answer to him. Then they put question to Imam Hadi (A.S.). He said, "Gabriel the angel of God." Yahyah took pleasure and enjoyed the answers of Imam (A.S.) and admitted to the knowledge station of Imam (A.S.) in the presence of all. People observed from lmam Hadi (A.S.) due to his connection with God and the unseen world, works which were considered to be the specimen of God's might and power. One of the friends of Imam (A.S.) traveled from Iraq to Madina and had the honor to visit Imam (A.S.). Imam (A.S.) enquired from him the condition of Al-Wasiq the Abbasade caliph and he replied, "when I left Iraq he was fit and fine, and Mutawakkil was in prison and Ibn-e-Zayyat had become famous and well known among the people. Imam (A.S.) after a moment's silence said, "That which is God's will, shall take place, and there is no way to stop his orders and commands. Oh my friend be aware that Wasiq has passed away and Mutawakkil has succeeded him and Ibn-e-Ziyyat has been slain upon the behest of Mutawakkil." I asked, "When was it?" He said, "Six days after you moved out of Baghdad." In the age of Mutawakkil regime a lady claimed that she was Zainub the daughter of Fatima. He said, "Many long years have passed since that period when Zainub lived and you are quite young." She replied, "Yes, but the Prophet (P.B.U.H.) drew his hand upon my head and prayed for me to remain young for ever. As such, after every forty years I turn back to become young." Mutawakkil called upon all the wise men to visit him and enquired from them, "What do you say about the claim of this women" All of them said, "she tells a lie." Mutawakkil said, "I know that she is lying, but what proof and logic do you have to condemn her." They said, "We do not know, Imam Hadi (A.S.) should solve this problem." Mutawakkil at once summoned Imam (A.S.) and told him about that matter. Imam (A.S.) said, "send her to the cage of the lions, if she is telling the truth, because the beasts do not molest the children of Fatimah (S.A.) and do not eat their flesh. Mutawakkil said to the woman, "what do you say?" She said, "This man wishes that I may be killed. If he is right then let him do it himself." Mutawakkil said, "she is right, you must do it first yourself." Imam (A.S.) replied, "There is no hurdle to it" He went to the lions in the cage and sat among them. All observed with amazement, that the lions sat very respectfully before the Imam (A.S.) and sometimes caressed themselves against his body and he caressed their bodies with his hand, affectionately. When Imam (A.S.) ordered that they might move to a corner, all of them crept to a nook. Then Imam (A.S.) came out of the cage and went to Mutawakkil and said, "Oh woman now it is your turn." The woman started crying and begging saying, "I told a lie, I am the daughter of such and such man, and wanted to play a trick and a hoax but it did not work." Mutawakkil, who was a self conceited and egoist Abbasade caliph, was much annoyed about the attention of the people focused upon Hadi (A.S.) and was all the time immersed in the thought of annihilating Imam (A.S.). One day, he was informed that Imam (A.S.) wanted to bring about a revolt and has gathered money and weapons, for this purpose, in his house. Mutawakkil ordered the officials to attack and break into the house of Imam (A.S.) at midnight and search it and whatever money and weapons are discovered be brought to him along with the Imam (A.S.). Mutawakkil had arranged a merry making party in his palace for his own relaxation and amusement and the musician played music and the singers sang sons for him. He was counting moments and waiting anxiously for Imam to be showed in. The agents and officials climbed the roof from the backside of the Imam's (A.S.) house and break into it. They found Imam (A.S.) busy in offering his prayers in a room. Howsoever, they searched the rooms but could not find anything except a certain amount of money and one sword. They picked these up and presented to Mutawakkil along with the Imam (A.S.). When Imam (A.S.) arrived Mutawakkil seated him beside himself and presented the dirty drink (wine) to him and asked him to take it. Imam (A.S.) said, "By Lord, I shall never at all touch my lips with it." Mutawakkil who was intoxicated and did not have attention towards anything turned his face to Imam (A.S.) and said, "Thus you must recite some poem (rhymes) for me." Hazrat Imam (A.S.) said, "I do not know any of them except for a number of them, which are left over as a monument of my grandfather Ali (A.S.)." Mutawakkil said, "Recite that" Imam (A.S.) recited the rhymes, of his forefather Ali (A.S.), which were striking and awareness creating. A tempest took shape in his interior. So that he came to his senses, out of intoxication. He wept and ordered that Imam (A.S.) may be sent back to his house respectfully. The money, which was brought from his house, may be returned with sane addition to it. 1. They made the high peaks, their residence, and permanently and always, stationed armed guards to watch that. But none of them could stop the death from approaching them. 2. Finally and consequently, they were dragged from their grand palaces into the ditches of graves and with how unfortunately they arrived it. 3. At this time, the voice of the caller of God raised which said, "Where did those decorations, crowns, magnanimity and ostentation and grandeur go?" Where did those faces brought up in coquetry and endearment and which were nurtured upon the wealth of others, and showed their pride and mincing air to them, go. 4. The grave made them anonymous and their faces turned into the fields of attacks of the insects and worms. 5. One day they ate and drank whatever they desired, without any care but today they have themselves become food of the animals. The rhymes, which were totally admonitions and advices, hammered the brain of Mutawakkil, and made him so ecstasies that he was awakened from the deep slumber and threw his cup of wine upon the earth and his eyes shed tears like it was raining. After the tyrant caliph Mutawakkl's death Imam (A.S.) was still in agony, pain and discomfort till the time he was martyred by "Mutaz" at the age of 42 and was buried in the land of Samarrah. Although Imam (A.S.) was strictly under observation and he was being put under vigilance from all aspects but a group of his lovers, enthusiastic and amorous lovers of the spring of his knowledge contacted him confidentially and secretly and used to quench their thirst from that spring up to their utmost means. 1. Abdul Azim Hasani: He was one of the great and wise men of his age and was much renowned for his piety. Imam Hadi (A.S.) would usually say to his friends "whenever a difficulty crops up for you ask Abdul Azim and convey my Salam and Salutation to him." Once, he put forward his beliefs before Imam (A.S.). Imam (A.S.) said, "By Cod, these are the same beliefs which God has liked (approved) for His slaves." This son of Imam (A.S.) was pursued and followed up very strictly and severely and concealed himself in the city of Rai and sometimes he came to visit the grave of Hamza, which is situated near his own. After sometime he fell ill and passed away and was buried at the same place. 2. Hasan Ibn-e-Saeed Ahwazi: Who was one of the friends of Imam Reza (A.S.), Imam Jawad (A.S.) and Imam Hadi (A.S.) and narrated traditions from all of them, lived in the beginning in Kufa then he left along with his brothers for Ahwaz and from there he shifted to Qum. He died over there. He authored about 30 books regarding Jurisprudence and the Islamic ethics and morality. The wise men accept the tradition narrated by him. Allamah Majlisi and Allamah Hilli had mentioned him with great respect and held him in high esteem. 3. Fazl bin Shazan Nishapuri: He was an informed, knowledgeable and strong jurisprudent and orator. He always had confabulation with the friends of Imam (A.S.) and benefited from them. He himself is considered one of the companions of Imam Hadi (A.S.). He wrote a large number of books, which attracted the attention of the wise men. Some of them say he wrote as many as a hundred and eighty books. Following the demise of Imam Hadi (A.S.), he became a part of the companions of Imam Hassan Askari (A.S.). One day, when he visited Imam's (A.S.) assembly, he praised and recommended him to the people of Khorrasan so that they may get benefited from his books. Since he was pursued on account of his being a Shia, he traveled to Behaq and after a period he became ill and died in the age of Imam Askari (A.S.).